"I can try most foods and I am able to co-ordinate food to my mouth with confidence." Mix all the ingredients together into a bowl and mix throughly. Shape into tennis sized balls, then flatten into burger shapes. Grill for 8-10 minutes turning occasionally. Check they are cooked and no pink is visable inside. 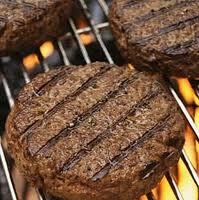 Grilling the burgers will drain more fat away. Tip: Swap beef for Quorn for a vegetarian option. Heat oil in a frying pan and add onions and fry until soft. Add mince to the pan and cook until browned. Add chilli flakes, garlic, cumin, carrot and celery and allow to cook for another few minutes. Add tomatoes, stir well and simmer for 35 minutes. Add kidney beans and cook for a further 10 minutes. Serve with rice, couscous or salad. Tip: If it's too spicy you can cool it down by adding natural yoghurt. 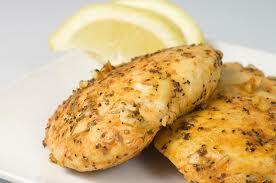 Put chicken and lemon juice in a pan and heat until the juice is just boiling. Turn heat down and simmer gently for 10 minutes until the chicken is cooked. Add little water if necessary to prevent drying out. Add tarragon, cream and black pepper to taste and stir until cream is warmed through. Serve with rice, pasta or couscous and steamed vegetables.